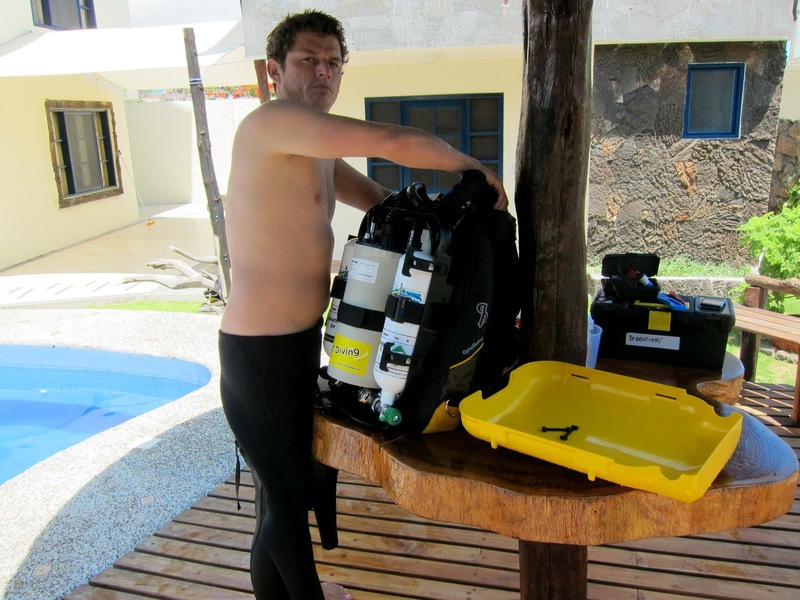 Nicolas Vera is a naturalist and marine reserve dive guide in the Galapagos Islands. With over 15 years of experience in the islands, Nicolas is a very sought after professional by local tour operations and private mega yachts. 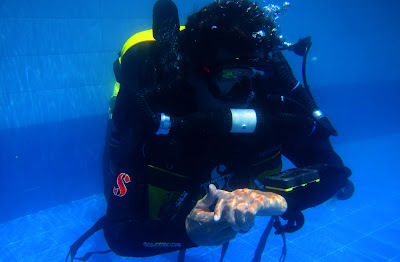 As part of his diving career and personal interest in underwater videography, earlier this month Nicolas decided to become certified in the use of the Evolution Rebreather. 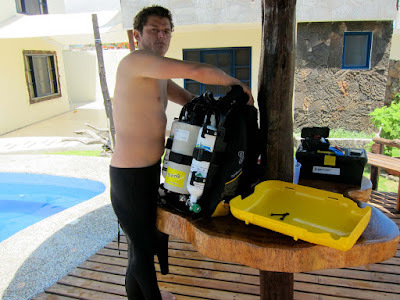 Nicolas’s Evolution Air Diluent Course was taught by Jorge A. Mahauad of Galapagos Rebreathers through the Galapagos Tip Top Dive and Training Facility between January 29 and February 5, 2013. 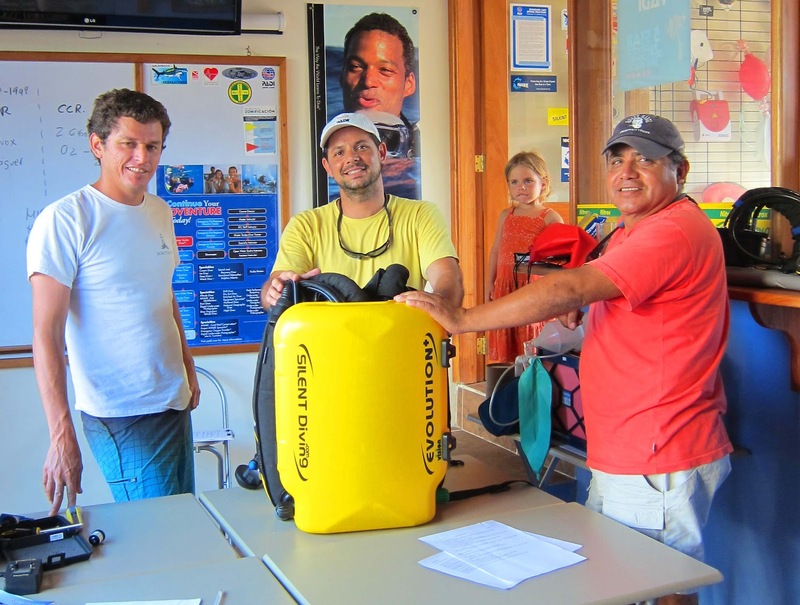 Throughout his course, Nicolas demonstrated good overall proficiency in the management of the unit, an in depth understanding of the dive theory behind rebreather diving and a very good attitude and mindset as a new CCR diver. “I have already got job placements due to the rebreather certification but my major motivation to do this is the video side” he says. We look forward to working with Nicolas in the future as he is the first naturalist and marine reserve guide who have been certified in the use of closed circuit rebreathers in the Galapagos Islands. (c) Galapagos Rebreathers 2010. Awesome Inc. theme. Powered by Blogger.